Scramble Spirits is Sega having a go at Capcom’s trendsetting (and continually ripped off) 1942. You control a biplane making destructive merry across half-submerged buildings, quicksand traps, and Buddha statues. There are no power-ups to help you, save for two mini-planes that attach to your side once obtained. Planes, tanks, ground turrets, and other standard shmup vehicles attack you with minuscule projectiles, barely visible with old tired eyes, like mine. Bosses of confusing shape and design attack you (no country would willingly bring these funky planes into war unless they were desperate) and are easily brought down, even without your mini-plane friends. This humdrum action continues for six steadily paced stages, until finally, you have scrambled all of the enemy’s spirits. A crushing blow to whatever menace you’re fighting. I don’t even know what I’m looking at here. 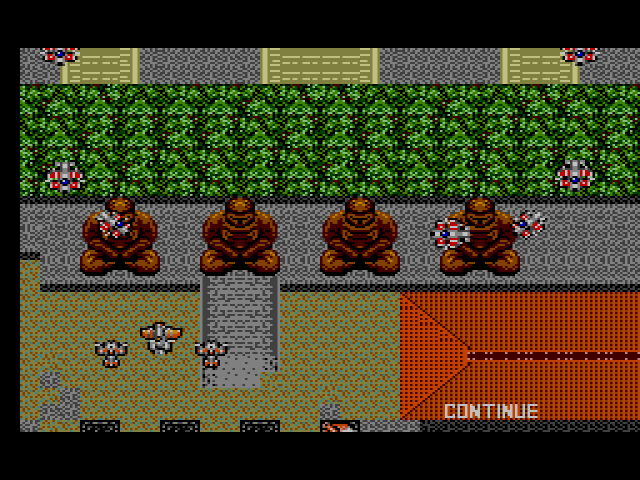 Scramble Spirits is as barren a shooter as I’ve ever played on the Master System. If you have any experience with the shoot-em-up genre, you’ll be able to beat the game’s six short stages within thirty minutes (three continues and four lives per playthrough will help those with no experience). The action is by-the-numbers. Planes fly in, let loose a bunch of projectiles, then fly away or get shot down by you. Or tanks crawl steadily towards the biplane, let loose a bunch of projectiles, then sit there, exhausted by the weight of war. The lack of power-ups, save for the mini-planes, feels inexcusable. Sure, Scramble Spirits isn’t space-themed, so there’s no need for triple laser cannons and what not, and you do have the obligatory secondary bomb (good for screen-clearing, etc. ), but something beyond regulatory pea shooter would have given your own spirit some extra life. Sarlacc pits make great scrambled spirits. Buddha and his clones in a very special cameo appearance. Based off of the 1988 arcade title of the same name, Scramble Spirits is playable, and occasionally enjoyable in the way the majority of shmups are playable and occasionally enjoyable. 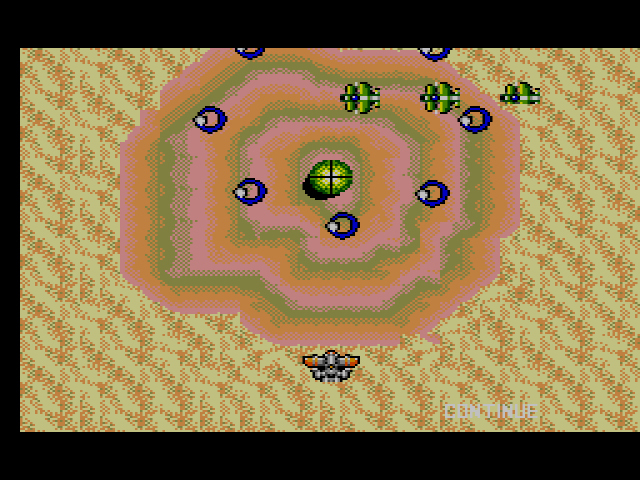 As a whole, however, the game takes the foundation of a better, older shmup (1942) while adding nothing to distinguish itself from other shmups on the market; shoot-em-up fans may have heard of Scramble Spirits, but the title is largely forgotten compared to ’80s stalwarts R-Type, Gradius, Life Force, and yes, 1942. 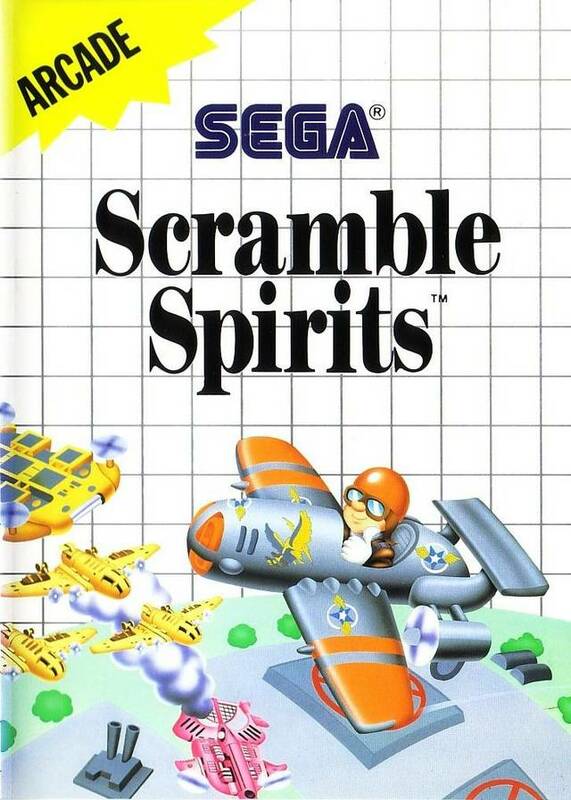 Sega’s lack of an American release for this Master System port, and an even more surprising lack of a Mega Drive/Genesis port makes me think that Scramble Spirits wasn’t even that highly regarded internally. But that’s just late night speculating, a dangerous activity if ever there was one. Sega’s thoughts on their own game aside, one fact remains: for a title that implies intense activity, Scramble Spirits barely has enough energy for a trip to the boneyard. Sluggish spirits. 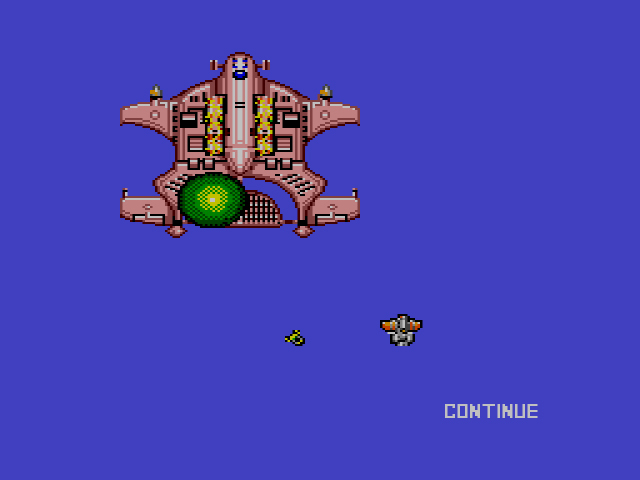 The bonus stages remind me of Star Jacker on the SG-1000 with the way it zooms and enlarges your ship/plane. That effect looked much better on the arcade machine but even the arcade game is mediocre. Yeah, outside of some nice visual effects, the arcade is nothing special either. I guess there’s not much to say about this one except that Scramble Spirits sounds like it probably made more sense in untranslated Japanese. The Over Easy Spirits just sounded ridiculous. I presume there is some top secret plan regarding Golden Axe ? As you’ve carefully omitted it……Maybe a double review with the Mega Drive version ? You got it. Didn’t see the point in reviewing the MS version before the MD version.